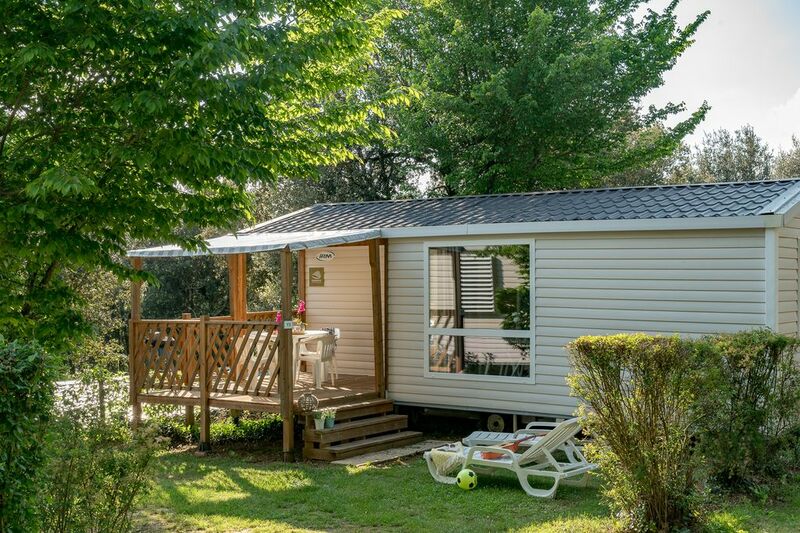 Peace and quiet in the heart of nature, our well-equipped family mobile home creates the perfect setting to recharge the batteries. For restful nights, enjoy all the comfort of a master bedroom and a separate bedroom for the children, plus a sofabed for an extra holidaymaker. Outside, between sunshine and shade, the terrace makes the ideal spot to get together around a convivial meal at any time of the day. As evening draws in, soak up the sun’s final rays as you relax on the sunloungers provided with your garden furniture. Welcome to your holiday in the heart of the Dordogne!